Weekend Roundup ~ R | The Happy Wonderer ~ ellen b. Here are my choices from the prompts for Weekend Roundup. 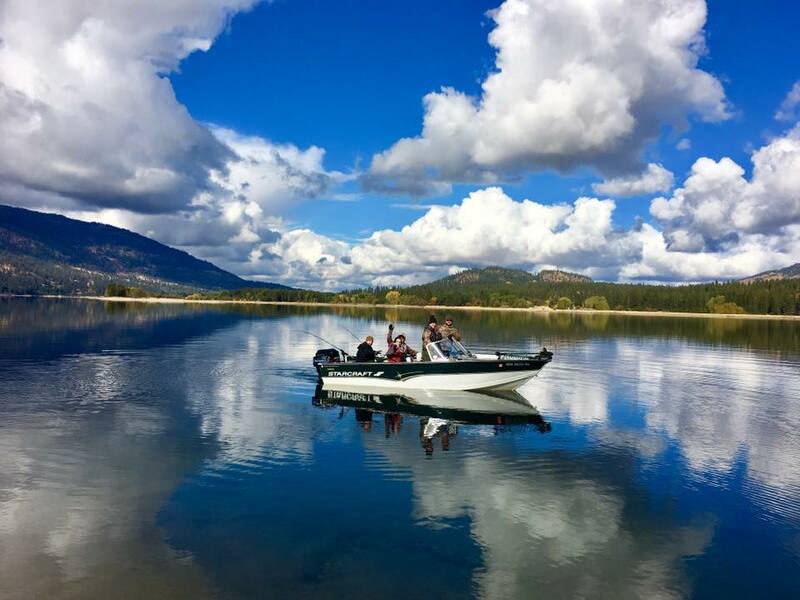 A Favorite: Reflections including some family members on Lake Roosevelt. 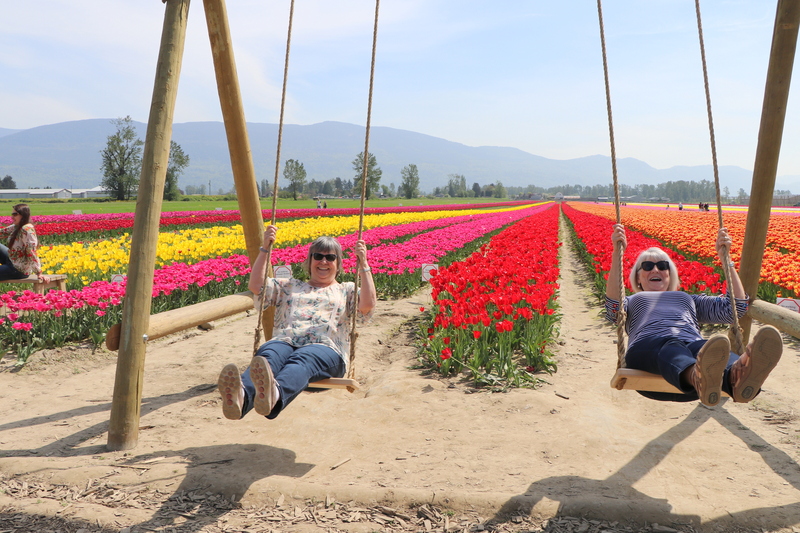 Red: Red tulips growing in a rather long row behind Judy and me in Chilliwack, B.C. 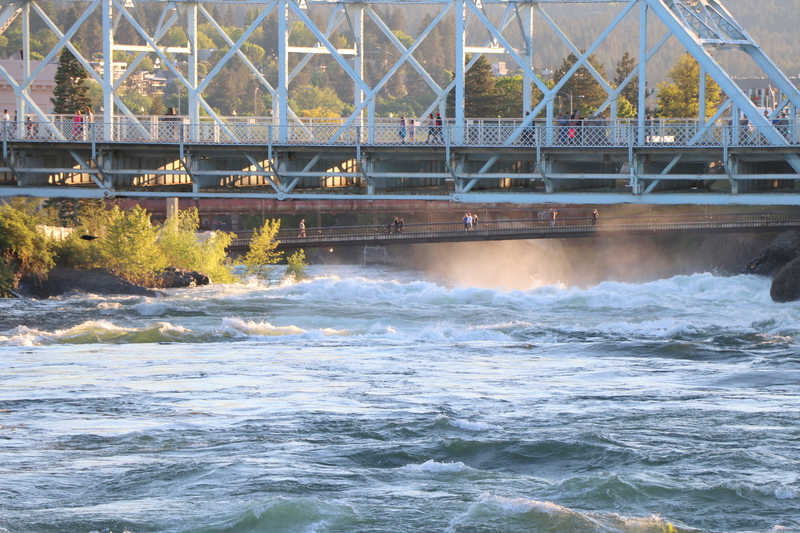 The raging Spokane River because of Spring runoff. Cllick over to Tom The Backroads Traveller to see more selections from the prompts. Today is mowing the lawn day and then I’m going to a soccer match with my adult kids on this side of the mountains. Happy Cinco de Mayo to all! Posted on May 5, 2018 by Ellen •	This entry was posted in Meme, Reflections and tagged #tulipsofthevalley, Chilliwack, Lake Roosevelt, Robin, Spokane River, Weekend Roundup "R". Bookmark the permalink. Hi Ellen, These are all great choices. I especially love the family photo reflection on the lake. …what wonderful ‘R’s! Around here ‘R’obins are running on the ground looking for worms, beautiful shot in the tree. Such a beautiful day on Lake Roosevelt. I’d be swinging the other way, looking at the tulips! You need to take your kayak to the Spokane River. Thanks Ellen for stopping by, please come again. Wishing you a REALLY REMARKABLE weekend, Ellen! 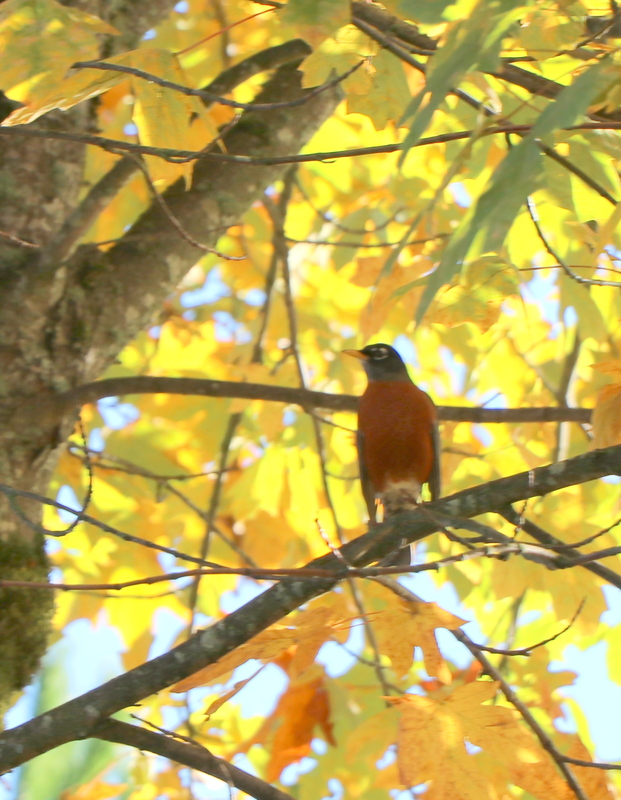 Hi Ellen ~~ Robins are everyone”s dears, mine too. But I like your Spokane River photo best. Too bad it’s raging. I love the reflection shot but the river looks a little scary!!! Wonderful selection of Rs. I especially like the tulips. Beautiful! That swing looks like loads of fun! What a lovely backdrop of tulips. I like your robin – hope it sticks around and makes a nest for you! Hello Ellen, lovely images. My favorite is of the tulips. Enjoy your day and new week!